I was born in Costa Rica, and four years ago, I dreamt that life is made of lines of intention. Expression Gallery, in Miami, where I was awarded with the honorable mention for Costa Rica. As the new physics in the Universe determined, two particles entangle if they are close together, then their properties become linked. Since Einstein revealed the reality of Quantum Entanglement beyond time and space, Universal entanglement is not just a Utopia. Art marketing turned the art institution in Dystopia, but in its deeper sense, Art has always been the Blue Print for and ideal human environment Utopia. For this reason, my drawings embroider life’s utopic sheet of paper intertwining my lines of intention. Sometimes we are ink, sometimes we are fractal beings, but always entangled. These are my lines of empathy that I propose within my art pieces. Let us draw and sew our roots to compassion and empathy, we are all the same, although our molecules are formed differently, and life is a long soft experience of Nature, as in my artwork, Stratford paper is the holder of this unanimous encounter, more than a Utopia, a declaration signed with lines of intention. 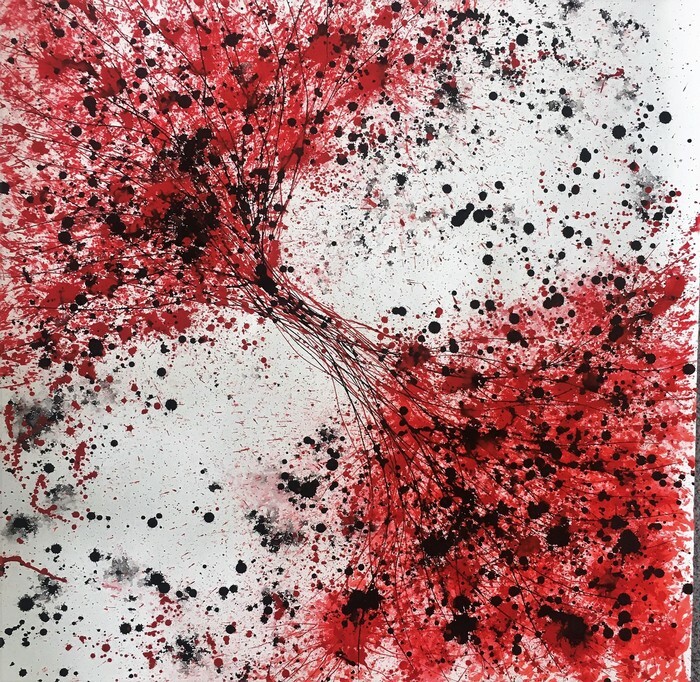 Alessandra Sequeira, ENTANGLEMENT V, acrylic ink on paper, 105 x107 cm. 2017.
separate again, then they can no longer be described in the same way as before. 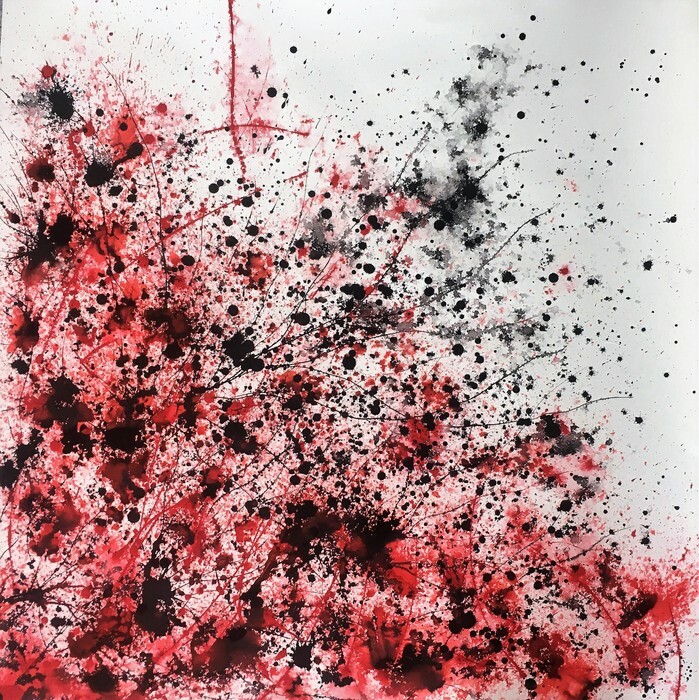 Alessandra Sequeira, WINDOWS OF THE INFINITE, acrylic ink on paper, 105 x 107 cm. 2017. Every drawing is a window to the infinite, untangling universes. 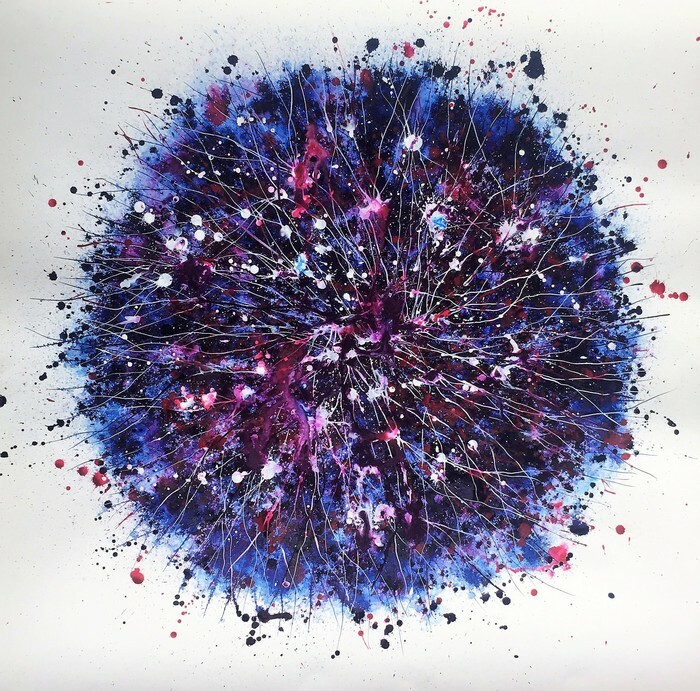 Alessandra Sequeira, AGAPANTHUS, acrylic ink on paper, 107 x 107 cm. 2017. 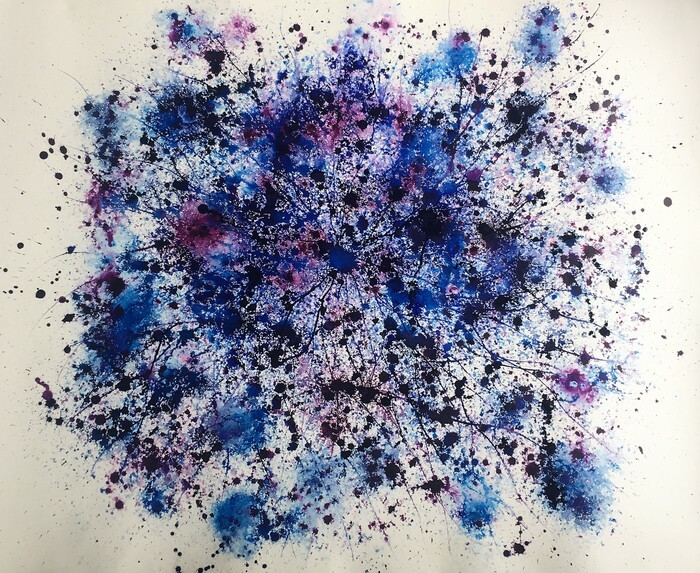 Alessandra Sequeira, GROWING NEBULA, acrylik ink on paper, 137 x 107 cm. 2017. Small cosmic seeds can grow into big star systems deeply embedded in clouds of gas and dust, these are the growing nebula I draw.